Everyone who has a website strives to obtain front page rankings on search engines like Google and Yahoo. You want your site to rank high in the search engine world because a higher rank means more visitors and more visitors means more potential sales. There are many SEO companies out there who promise you they can get your site on the front page ASAP. In fact, they can get you to the top of the front page in no time at all! If you have ever been promised this, run. RUN FAST & RUN HARD! Getting onto the front page of any search engine takes time and patience. Only a company that works hard for you every day is going to get you to the top, over time. It isn’t a quick fix operation or a matter of paying someone to put your website at the top. 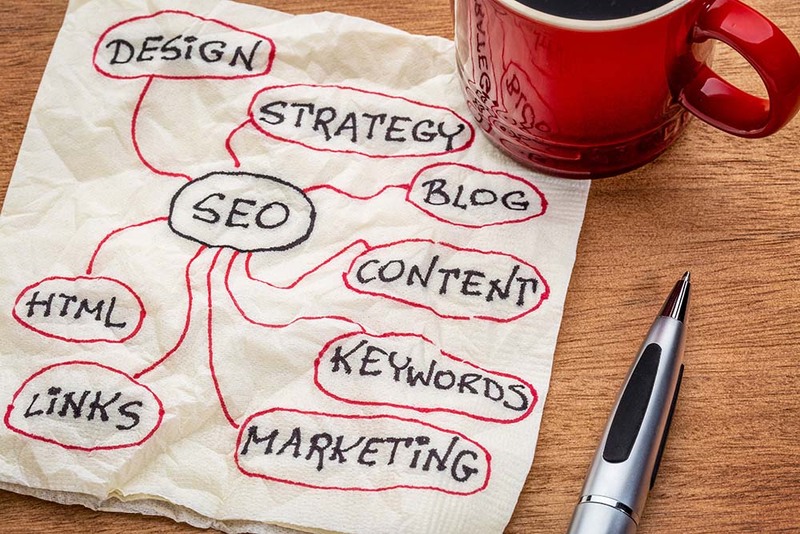 Hopefully this article can help debunk a few SEO myths for you. What the what? Sadly many business owners have been approached by marketing vendors (who are less than ethical shall we say) who promise SEO services but deliver pretty much nothing. They charge you a steep price that promises you top rankings on Google, but you see nothing. It’s almost always a scam. That is not what SEO is. This most harmful myth stems from those who seek quick and easy wins with little effort. SEO involves real effort and commitment, which often pays additional rewards beyond the increase in traffic. This myth seems to have started by people who don’t use social media to begin with. Thus, they avoid it in business. That approach can only serve to hamper a company’s SEO efforts, especially with local businesses. No, no they won’t. In fact, Google won’t do all the heavy lifting for you to be noticed on their search engine. Google and other search engines try to mimic human behavior in evaluating content and use human generated signals like links, to rank results. Every page that is delivered in search results should be unique, valuable and contain keywords to help search engines sort them from the billions of possible pages on the web. Many think that loading an article or content on your site with tons of keywords (sometimes repeatedly in the same sentence) will rank you higher on the search engines. This is called keyword stuffing and too much of it is definitely a bad thing. Many SEO tools still believe that keyword density is important to get noticed. It isn’t. If you use keywords intelligently and with usability, you will rank and you won’t be considered a scammer. It’s sad to see a company try SEO once and get discouraged because it isn’t a “quick fix.” But SEO doesn’t happen overnight and that is something businesses get misled over when they talk to scammers. You have to put the effort in to see results. And you have to practice patience. The rewards are well worth the wait. We Rock SEO is that company that puts you first, in order to get you the front page rankings you are seeking. It isn’t a “quick fix” and it certainly won’t happen overnight. But, it will happen. Let’s talk and figure out how we can get you ranked high the right way.